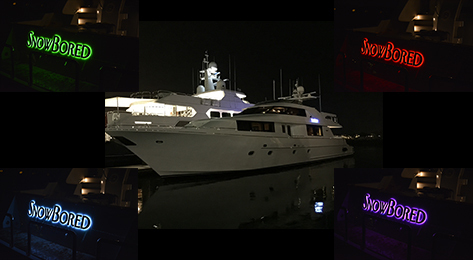 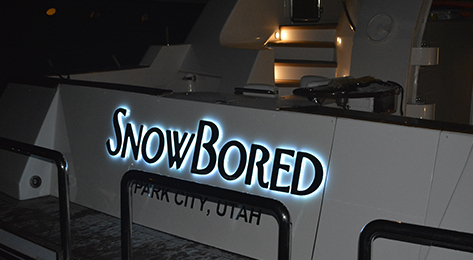 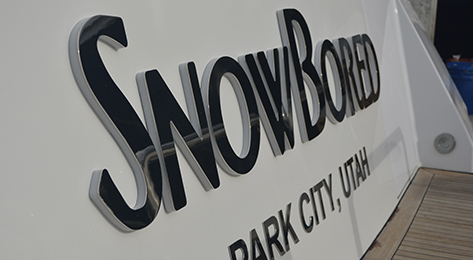 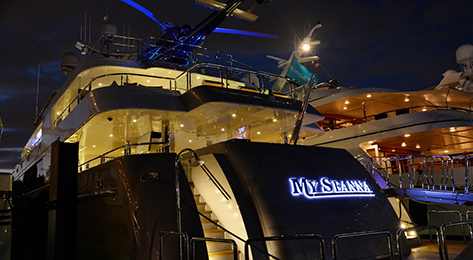 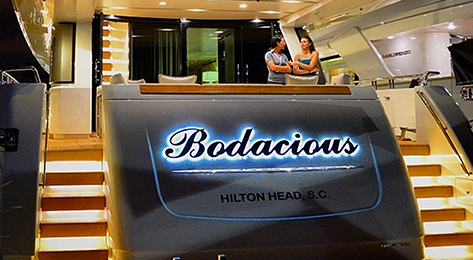 Yacht GraphX - Custom crafted letters, symbols, helipads, dance floors, illuminated walls and whatever your imagination creates can be realized through our expert team of designers and fabricators. 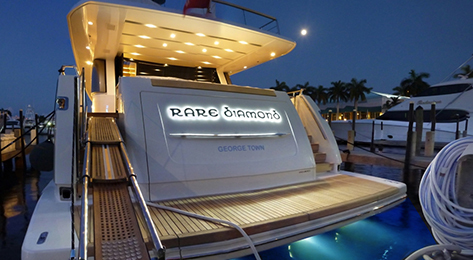 From simple illuminated film letters to multi-material 3D emblems for superyachts, our team can do it all with excellence of electrical design and utilization of state-of the art technology and materials. 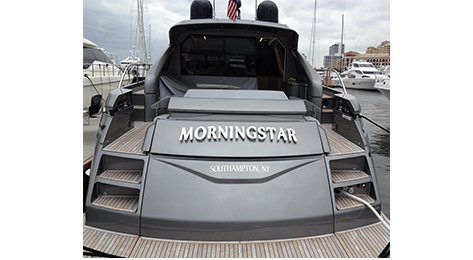 Yacht GraphX are fabricated in carbon fiber and stainless steel in any shape, design or graphic. 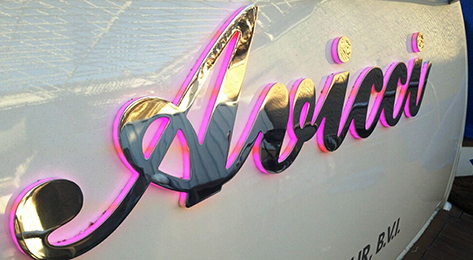 Yacht GraphX letters are state of the art laser cut, hand crafted for perfection in 316L Stainless steel, lacquered acrylic, carbon fiber or any other material of your choice. 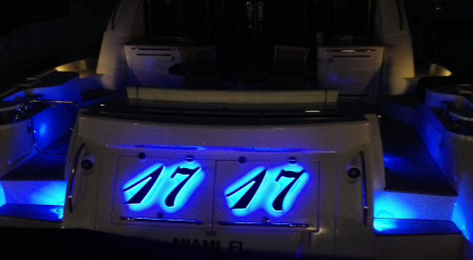 Available in monochrome or multiple color illuminated LED’s. 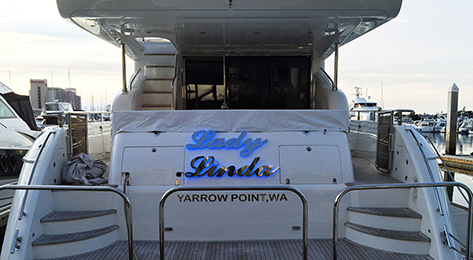 Letters are connected via a specially designed marine electronic watertight system for stability, durability, and reliability. 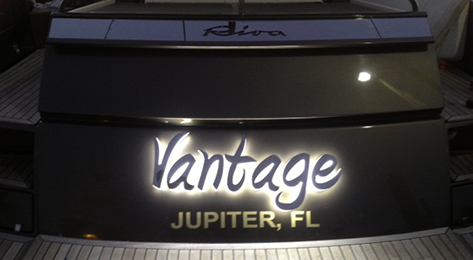 Illumination and dimming is controlled via a remote o for easy installation! 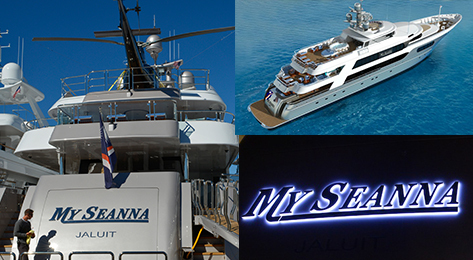 We have equipped 40% of the world’s largest Super Yachts! 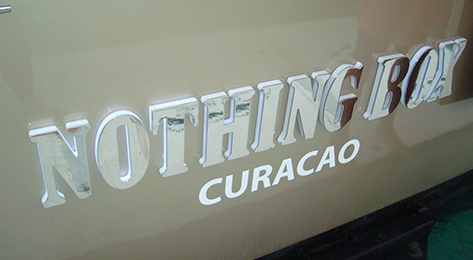 With worldWide sales & service support, we have the ability to design and manufacture anything you may want created. 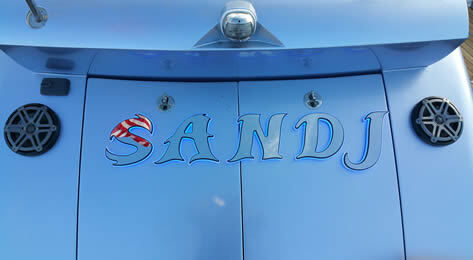 Try our name generator wizard online!